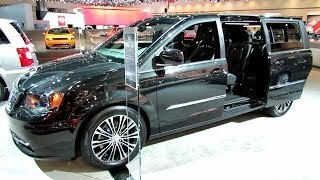 Chrysler is expanding its S Family Models with the Town & Country S Version which makes its debut at the 2012 LA Auto Show, along with the 2013 Dodge Charger Daytona. 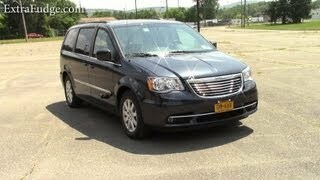 The top-of-the-line S versions of 200 and 300 sedans is now joined by the new Chrysler Town & Country S minivan. 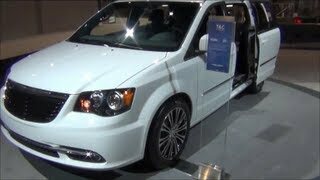 The Chrysler Town & Country S gets exterior and interior enhancements as well as some standard equipment commonly associated with top-line models. Town & Country’s power comes from the 3.6-liter Pentastar V-6 engine, which produces 283 horsepower and 260 lb.-ft. of torque. The V-6 is mated to the 62TE six-speed automatic transmission. A fuel economizer mode helps the driver maximize fuel efficiency, and premium, lower-rolling-resistance tires, and low-drag brake calipers and rear bearings make great fuel economy possible. 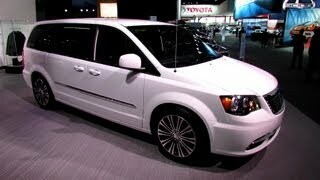 Town & Country achieves 17 miles per gallon (mpg) in the city, 25 on the highway.